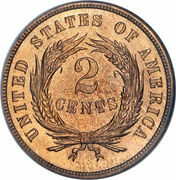 NOTE: On some parts, a "4" seems to appear as "5". Other pieces on the tip of the 5 is bent or normal. 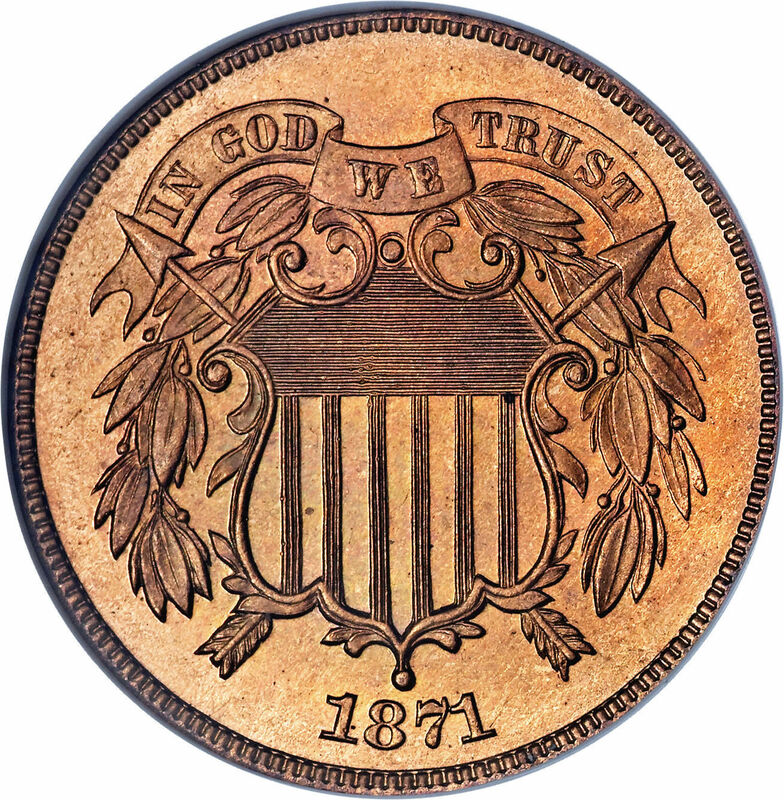 The 1864 two cent piece was the first United States coin to carry the motto, "In God We Trust"
1865 13,640,000 8.96 9.13 19.34 19.75 On some parts, a "4" seems to appear as "5". 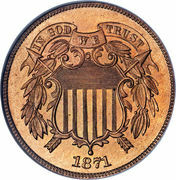 On some pieces the tip of the 5 is bent or normal. 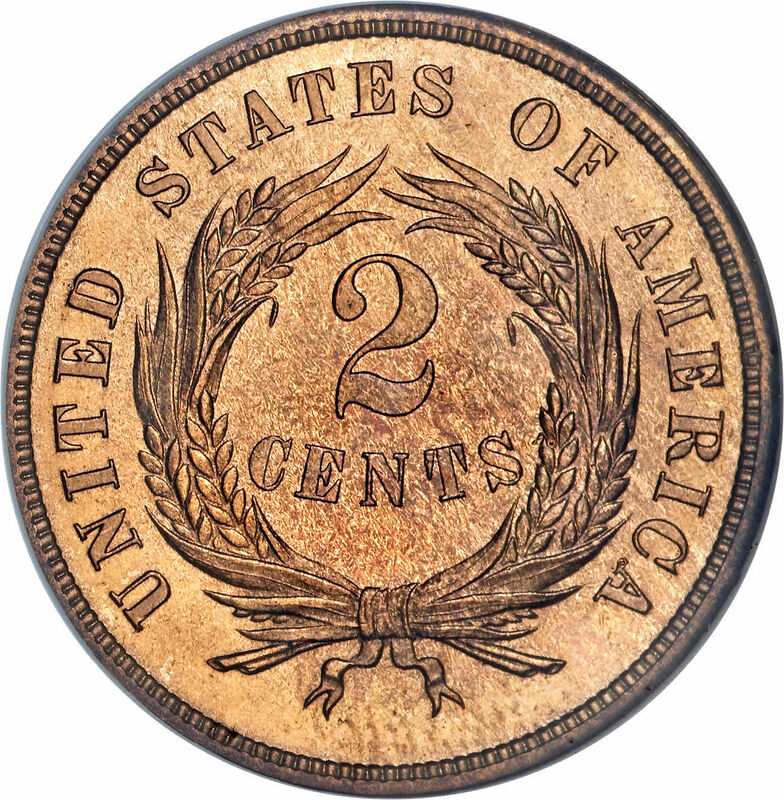 Catalog › United States › 2 Cents "Union Shield"